“Earth Day” a day of social awareness and community service, they “say” it started in 1970.., but… “Subbotnik” is a communist day of volunteer work ‘cleaning up’ in devotion to the state, started in 1920. The battles of Lexington, Concord, near Boston. The battles marked the outbreak of open armed conflict between the Kingdom of Great Britain and thirteen of its colonies on the mainland of North America. Happy Birthday to United States Special Operations Command (USSOCOM)! Arizona Gov. (Brewer) signed into law a bill making Arizona the third state allowing people to carry a concealed weapon without requiring a permit. 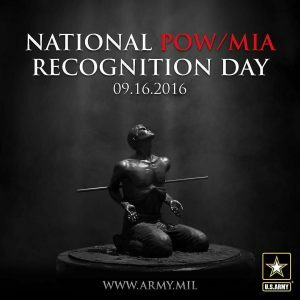 oday is National Medal of Honor Day! 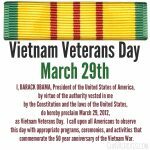 The first Medals of Honor were presented on March 25, 1863. 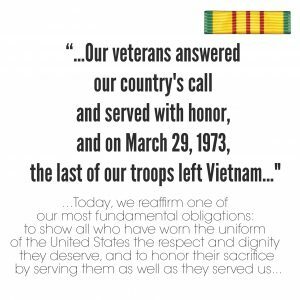 To commemorate this date and all Medal of Honor recipients, Congress declared March 25th as National Medal of Honor Day. The Medal of Honor is reserved for those who have distinguished themselves “conspicuously by gallantry and intrepidity.” This National Medal of Honor Day, we remember the courage and selfless sacrifice of those incredible individuals. 3,498 have been awarded the Medal of Honor and today there are 75 Living Recipients of the Medal of Honor. Patrick Henry speech he made the House of Burgesses on March 23, 1775, in Saint John’s Church in Richmond, Virginia. 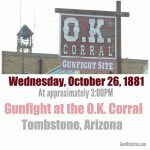 Smith and Wesson signed an unprecedented agreement with the Clinton administration to include safety locks with all their handguns & any new firearms would not take a magazine holding more than 10 rounds of ammunition, in return, the agreement called for federal, state and city lawsuits against the gun maker to be dropped. Just 53 more !! If you are already a member, post a comment with a number between 1 and 1,000 !!! Join today !! 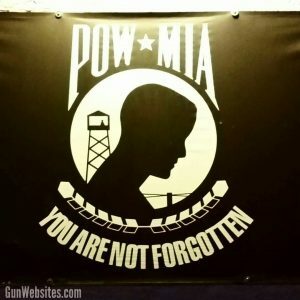 If you want to be able to tell your grandkids that you were one of the original 1,000 members of Gun Channels.com Just 53 more !! If you are already a member, post a comment with a number between 1 and 1,000 !!! can you ID whats in this photo? Today is the day we give attention to our beloved #GopherRound February 23rd Feb 23 2/23 .223 #ammo #AR15 #AmmoCollecting #Bullets #Feb23rd #Happy223Day #556×45 #556 #NotMyRifleBullet Bonus #TacticalQuiz can you ID whats in this photo? 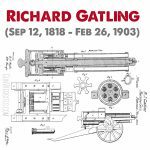 Robert Lowell “Robin” Moore, Jr.
Hiram Percy Maxim patented a suppressor for firearms in 1908 Also invented a muffler for gasoline engines. Maxim created the ARRL in 1914 to pass messages via amateur radio, allowing them to travel farther than any single station’s reach. Yea, I (technically) share a scene on the big screen with #TimRoth in the movie ‘600 Miles’…. And yeah I watched it today for the first time in the theater, sitting next to a guy who spoke a line of dialog in the movie…. But the coolest part, was I got #Paid ($$$) to have a dozen+ of my AKs (& other guns) as props in the movie !!! Next step, getting a prop credit on the @imdb !! How many mistakes can you find in this banner? The US military used a laser gun aboard a Boeing 747 jumbo jet to shoot down a missile near Point Mugu, Ventura County, Ca. 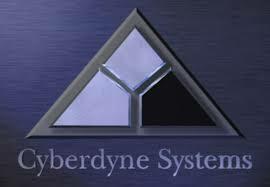 The airborne laser program began in 1996 and has cost billion of dollars. #40SW #40Guy #SoGladItsNot9mm #ReadyToStepUpYourGame ? 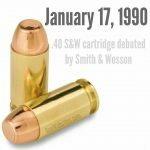 .40 S&W cartridge debuted January 17, 1990 Smith & Wesson developed the new cartridge for the Model 4006 pistol #GunChannels #40SW #40Guy #SoGladItsNot9mm #ReadyToStepUpYourGame ? President Obama signed 23 gun-related executive orders. My guns are on @netflix !!! close to 300 Native Americans were murdered near Wounded Knee Creek in South Dakota. Dec. 29, 1890 A Lakota encampment was attacked by the U.S. Army close to 300 Native Americans were murdered near Wounded Knee Creek in South Dakota. Russian general, inventor, military engineer, writer and small arms designer. 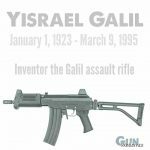 Uziel (Uzi) Gal was born on 15 December 1923, as Gothard Glas. was adopted after being ratified by three-fourths of the states. Today in 1775, the Continental Marines were established. It called for a five-day waiting period for handgun purchases. The PLCAA provided the gun industry with immunity from most tort liability. These prohibited a “qualified civil liability action” a civil or administrative action or proceeding brought against a manufacturer or seller of firearms or ammunition, from the action resulted from the criminal or unlawful misuse of a qualified product by the person or a third party, with certain exceptions. The CSLA is codified at 18 U.S.C. § 922(z). Was this one a win? 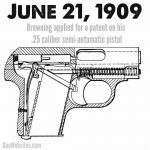 John Browning patented his first firearm, a single-shot falling-block rifle. On June 23, 1936, then President Franklin D. Roosevelt permanently established the last Sunday of September as Gold Star Mother’s Day. National Hunting and Fishing Day is observed each year on the fourth Saturday in September. 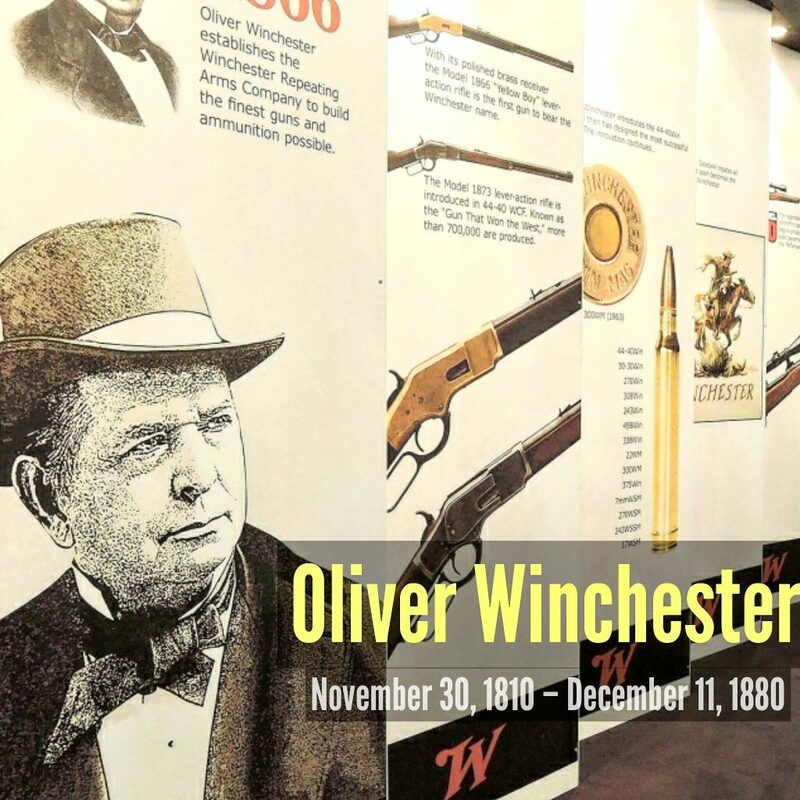 This day was created as a day to enjoy the sport of hunting and fishing, and it is meant to recognize that most hunters and fisherman are responsible and enthusiastic naturalists. Take the day to go out hunting or fishing. Constitution Day (or Citizenship Day) a federal observance that recognizes the adoption of the United States Constitution and those who have become U.S. citizens. Observed to remember September 17, 1787 the day delegates to the Constitutional Convention signed the document in Philadelphia. Colorado voters removed from public office Democrats John Morse & Angela Giron, for their support of gun-control laws that mandated background checks on private gun sales and limited magazines to 15 rounds. 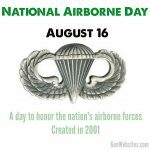 A day designated by the United States Congress to honor the nation’s airborne forces of the Armed Forces. The best movie ever made was released..
Are you watching Red Dawn today? 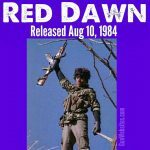 Happy Red Dawn Day Aug 10th 1984 The best movie ever made was released.. Are you watching Red Dawn today? #RedDawn #Wolverines #TheChairIsAgainstTheWall #JohnHasALongMustache #AllThatAngerWillBurnYouUp #AvengeMe What are your favorite parts / lines? National Purple Heart Day honors the men and women who have been wounded or killed in military service. 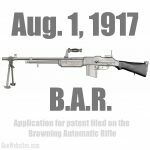 patent filed on the Browning Automatic Rifle B.A.R. 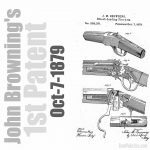 Application for patent filed on the Browning Automatic Rifle. The B.A.R. first saw combat in 1918. August 1st is National #EagleScout Day! In the month of August, 1904 the first Eagle Scout Badge was earned and awarded to Arthur Eldred. Since then, over 2 million young men have earned this award! Are you an Eagle Scout or know an Eagle Scout who has made a difference to you? Comment or tag an Eagle below! Buffalo Soldiers Day is celebrated annually on July 28. Hundreds of heroic war dogs served in the United States Marine Corps during World War II. Most were Doberman Pinschers, German Shepherds, Labrador Retrievers and occasionally, a Collie served during the war as sentries, messengers, and scouts. They also served other roles to the Marines who served with them…devoted friend, confidant, trusted companion. Fourteen dogs were killed in action and others died from exhaustion, tropical illness, heat stroke, accidents, and anemia from hookworm. Illinois became the last state in the US to end prohibition of public possession of concealed guns. President George H.W. 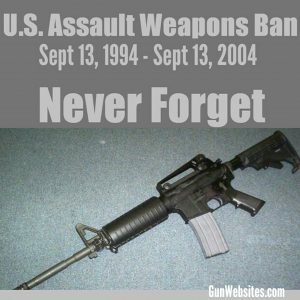 Bush signs a ban on the importation of semi-automatic assault weapons .. ..six months after a gunman armed with a Chinese-made AKM (AK47) kills six children at a Stockton, California school. Emil Franzi died on Wednesday, June 7, 2017 after a battle with cancer. "The Passing of a Legend It is with deep sorrow I announce the passing of Emil Franzi, the host of the Voices of the West radio program. He moved on to another portion of the ranch on June 7. " – Harry Alexander Emil was a friend, a teacher and inspiration You will be missed, sir… . Enforcement of the Gun Control Act was given to the Dept. of the Treasury’s Alcohol and Tobacco Tax Division of the Internal Revenue Service. The organization replaced “tax” with “firearms,” nearly doubled in size, and became the Bureau of Alcohol, Tobacco and Firearms (ATF). The FFA imposed a federal license requirement on gun manufacturers, importers, and persons in the business of selling firearms. The FFA was repealed by the Gun Control Act of 1968. However, many of its provisions were reenacted as part of the subsequent act. 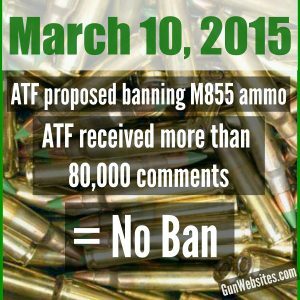 The Federal Firearms Act of 1938 (“FFA”) The FFA imposed a federal license requirement on gun manufacturers, importers, and those persons in the business of selling firearms. The term federal firearms licensee (“FFL”) is commonly used today to refer to the members of the gun industry on whom this license requirement is imposed. In addition to the licensing component of the FFA, the Act required licensees to maintain customer records and made illegal the transfer of firearms to certain classes of persons, such as convicted felons. These classes of persons are commonly referred to as “prohibited purchasers.” The circumstances resulting in the prohibition (such as a felony conviction) are often referred to as “disabilities.” The FFA was repealed by the Gun Control Act of 1968. However, many of its provisions were reenacted as part of the subsequent act. Congress aimed this law at those involved in selling and shipping firearms through interstate or foreign commerce channels. Anyone involved in the selling of firearms was required to obtain a Federal Firearms License from the Secretary of Commerce ($1 annual fee). 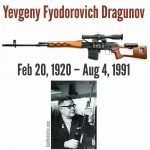 They were also required to record the names and addresses of everyone they sold guns to and were prohibited from selling to those people who were convicted of certain crimes or lacked a permit. U.S. Supreme Court case that ruled the Brady Law requirement for background checks unconstitutional (violated 10th Amendment). President Franklin D. Roosevelt hoped this act would eliminate automatic-fire weapons like machine guns from America’s streets. Other firearms such as short-barreled shotguns and rifles, parts of guns like silencers, as well as other “gadget-type” firearms hidden in canes and such were also targeted. All buyers were required to fill out paperwork subject to Treasury Dept. approval. The US Supreme Court ruled 5 to 4, that Americans have an INDIVIDUAL right to own firearms, for self-defense and hunting. 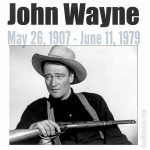 American film actor, director, and producer. Today is Armed Forces Day! President Harry S. Truman led the effort to establish a single holiday for citizens to come together and thank our military members for their patriotic service in support of our country. The single day celebration stemmed from the unification of the Armed Forces under the Department of Defense. 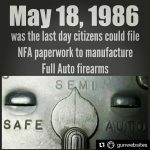 Today was the date the Hughes Amendment to the 1986 Gun Owners Protection Act became effective. Russia and Venezuela signed a contract for 100,000 Russian assault rifles to be provided to the South American nation. Am I the only one that wants a Venezuelan AK ? Do your own research on the Miller decision. 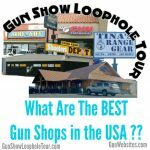 US Senate rejected 51 to 47 a Democratic proposal that would have required background checks for firearms sales at gun-shows. A GOP proposal for voluntary checks passed 53 to 45. Today is National Military Spouse Appreciation Day! The Green Beret Foundation is sincerely appreciative of Special Forces spouses, or as we call them, Steel Mags. Steel Mags are tough, resilient, focused, caring, resourceful, dependable women who serve to strengthen the Special Forces Regiment and the Green Berets they love, while empowering each other. This marked the end of World War II in Europe. Thanks to all who participate and support our websites and projects online ! The United States Congress passes the Calling Forth Act, clarifying the procedures and the circumstances under which the president can call state militia into service. The U.S. Supreme Court overturned a federal law banning gun possession near schools on the grounds that it was beyond the scope of congress power to regulate interstate commerce. 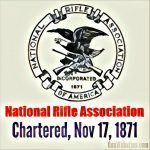 NRA bought the Creed Farm for the purpose of building a rifle range. Named Creedmoor, the range opened in 1873, and it was there that the first annual matches were held. set aside to recognize the sacrifices of Gold Star wives. who had support from armed civilian fighters. 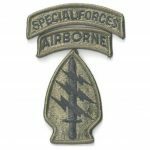 consisting of U.S. Army Rangers, “Delta Force”; as well as Air Force Combat Controllers, Pararescuemen and helicopters from Special Operations Aviation Regiment, attempted to seize two lieutenants during a meeting in the city. Somali militia shot down two UH-60 Black Hawk helicopters. The subsequent operation to secure and recover the crews of both helicopters turned inti an overnight standoff in the city. 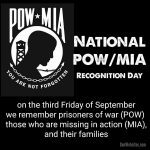 The battle resulted in 18 deaths, 73 wounded, and one helicopter pilot captured among the U.S. raid party and rescue forces. were killed as part of the rescue forces.